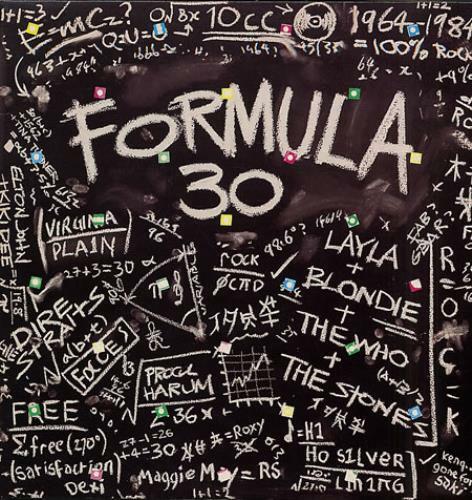 VARIOUS Formula 30 (1983 UK 30-track double compilation LP, featuring four hits by the Rolling Stones, together with a plethora of classics by The Who [Substitute, Pinball Wizard], Free [All Right Now] & Status Quo [Rockin' All Over TheWorld], to name but a few, gatefold picture sleeve. The sleeve shows minimal shelfwear with just a little edge scuffing & the vinyl remains in excellent condition with just a few light hairlines to indicate play PROLP4). or visit our Various-60s & 70s image gallery.